If you have no idea what is going on with this post, you probably need to go back about 2 weeks and read up on what has been going on around here while you were out. If you simply do not agree with my choices, well, feel free to let me know! Here we go, Europe, every high school backpackers dream. We lead off the fourth and final region with a battle of debauchery and sinful lust. Indeed, I have intentionally set up the particular parts of each city to face off against one another. Europe - that bastion of culture, wealth and the definitive old boys club – may be home to some vast, ornate castles, but it is also home to some rather morally unscrupulous cities. Paris, the city of lights, and Amsterdam, the city of legalized pleasures, each have their charm, but many a man has visited for little more than a role in the hay so to speak. It should be obvious to all why Paris defeats Amsterdam, but in case you forgot, Paris is home to the Louvres, the Eifel Tower, the Arc de Triomphe, and on two separate occasions was the major prize in a WORLD War. If the Germans skipped over Amsterdam to get to Paris, we don’t see the need to do any differently. On one hand you have the largest city in Western Europe, a world capital, and a centre of life that is seen as a centre of finance, culture, arts, politics and trade. On the other, you have a single hotel, and one that is only open for 6 months of the year, if you are lucky. In this hotel, you have to wear full on Artic thermal wear and there is not much to do, other than visiting the ice bar. You’ll probably have valet parking for your reindeer sled though. For all that, you’ll pay over $500 a night. The best destination in Sweden against the best destination in the UK? Well, you can argue about that one, but I’m pretty sure that I can build an igloo on my front lawn any winter and freeze my own balls off for nothing. Blimey, the cities look to dominate the Region! This is really a battle between a city made up of mostly old rocks and a religious monument made of stone. In the original battle of Bronze age rockers, this one makes you think of a Battle of the Bands between Rolling Stone and Fleetwood Mac. Stonehenge can rock out with the best of them, including the Pyramids of Giza, as it has been around for nearly 5000 years. (I think it’s time for a new haircut Mick!) But really, outside of a few pagan zealots, it is just a pile of interestingly placed rocks – toddlers do this all the time in the sandbox on a smaller scale. 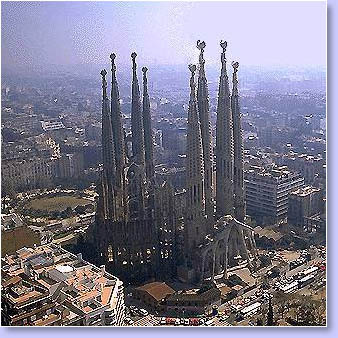 At least in Rome, they sculpted something out of those rocks, namely some of the most divine architecture in the world. Sorry Stonehenge, all roads lead to Rome, not to you. 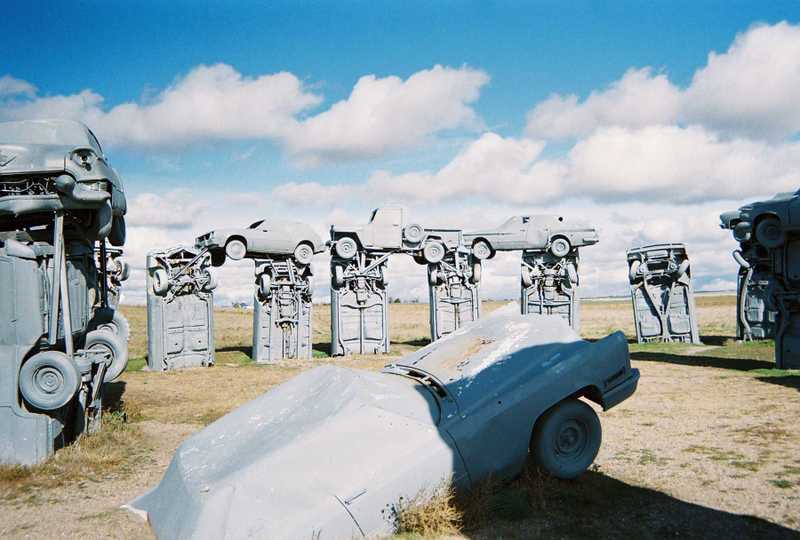 Plus, for North Americans, you could easily just take a trip to Alliance, Nebraska to check out some similarly odd-shaped structures. The battle of good against evil is constantly waging around us (especially if you are Zoroastrian). The battle is so omnipresent that it cannot even escape my simply blog. Here we have the power of the Almighty Father, represented in human form by the Pope of course, going up against the power of the almighty Impaler: Vlad Tepes. As the inspiration for Bram Stoker’s Dracula, Vlad’s hometown in Romania and his castle in the Carpathian mountains make for a wonderfully thematic tourist destination, if not a bit folkloric and I bet campy. But really, I would imagine that the Vatican would be fairly campy visit itself. Since I took away the huge draw of the city of Rome itself, the Vatican must do battle all on its own. Cardinals can swing a mean paddle, but this is Dracula we are talking about. Lord forgive me, but this one goes to the dark side – don’t scold me too much, I already picked Easter Island for the Final Four and that should be enough for you Lord. A city on the Mediterranean that has hosted the Olympics, is close to beaches, has wonderful architecture, world-class museums, and beautiful churches. Or the city that both Hitler and Napoleon valiantly sought, but could never quite reach. For Westerners, this is really about the luxury and pomp of a modern European city against the centre of the Communist World. No, I go too far. The Red Square is perhaps the world’s most famous and recognizable city square. Bordered on one end by the city markets and the other end by the Kremlin, it is an astonishing scene of history and architecture. It rivals Barcelona in this domain, and Moscow is one of the fastest growing and most important cities in the world, in terms of both culture and business. In fact, Wikipedia states that it is home to the most number of billionaires in the world. But the Russian mafia aside, I’m going with the Soviets for being the big bad bear – who doesn’t want to visit the epicenter of Lenin/Stalin/and all things that go boo in the dark. Crush Capitalism (please read with Russian accent). One of the few matchups in the whole tournament in which I have visited each location. Vienna, home of the Habsburgs comes up against Versailles, home of the Bourbons. As these families are completely incestuous both within one another and amongst one another, I will refer this battle to Family Court. In family court, the judge heres that Versailles’ most famous resident, Louis XIV actually had Hapsburg grandparents. As such, this becomes a dispute of infantacide should Vienna triumph. 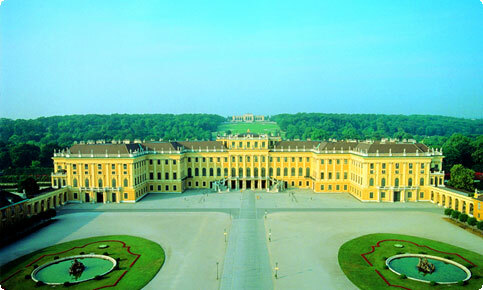 Vienna, home to the Habsburg’s palaces, includes Schloss Schoenbrunn, their summer palace. In a plea for a modicum of logic, the Habsburgs agree to pit their “chateau” against the French “chateau”. Big mistake! Versailles, home to Hall of Mirrors, various boudoirs of various King Louis, and sight of the end of World War I triumphs in a landslide Schoenbrunn – although council for the Habsburg state that it should be noted (for posterirty) that Schoenbrunn has equally outstanding floral gardens, an awesome maze, and is home to the world’s first zoo. They just don’t have a Hall of Mirrors, and any family court judge knows that a good monarch needs to be able to look in the mirror to powder her nose fairly frequently. This contest is really about scale. Having been to Praha, I can certainly vouch for the city as having one of the most outstanding stretch of tourist destination per distance ratio anywhere in the world. In a mere few kilometers, you can see the Oldest in-tact Jewish quarter in Europe, ornate and decorative Churches, the Charles Bridge, the Prague Castle, various Franz Kafka houses, an outstanding astronomical clock, some of Europe’s best night clubs, fantastic bars and all the absynthe you can handle. But up against over 10,000 kilometers of open country across the Russian steppes, the Ural Mountains, into Kamchatka (all this from Risk! ), you can travel for days on end and literally see Russia unfold in front of you. You can see literally see 1/4th the circumfrence of the earth on these trains, and all for under $500 Canadian. I think this train might have a long run in the tournament! Both Mediterranean destinations, it is difficult to pick between these two coastal paradise locations. Santorini is the quintessential Greek island destination – beautiful panoramic seascapes and hopping night life. In Dubrovnik, you have a newcomer to the hotspot tourism scene, although by no means a rookie in terms of important seaports. The Adriatic vs. the Aegean? How am I suppose to chose between these two locations? I guess I could impose a dunk competition, similar to the Banff/Yellowstone contest. The Greeks will have Poseidon representing them, while the Croatian will have Perun, the Slavic god of Thunder and Lightning. Since Poseidon controls Thunder and Lightning, this contest turns into more of a puppet show than a dunk competition. The Greeks wiggle their way into the next round.